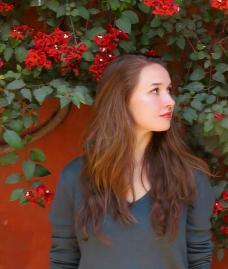 Sophia Kitlinski studies photography and visual cultures of science in modern Latin America and the Caribbean. She received her B.A. in Art History and Hispanic Studies from Columbia University, where she was awarded with the Susan Huntington Vernon Prize, given to the most outstanding senior major in the Department of Latin American and Iberian Cultures. She also holds an M.A. in Historia del Arte with mención honorífica from the Universidad Nacional Autónoma de México.